Anna Jahjah is a French director and drama teacher who has been living in Sydney for 4 years. Anna studied Anglophone theatre at Cours Florent and Jack Garfein Actors Studio in Paris when she performed in both classical and contemporary plays, including Comedia Dell'Arte plays. They taught her everything about timing, rhythm and relating to the audience.Her career in directing began afterwards, in addition to being a raconteur of Aboriginal stories at Le Musée du Quai Branly and Musée du Louvre. She performed in radio plays and made several documentaries about life in Lebanon, her home country. Through the Conservatorie National Supérieur de Musique, Anna taught drama and storytelling in schools in a city already known for its creatively rich flair. She also conducted drama classes in English for amateur actors willing to improve their English while infusing the value of fun within performance, by staging Anglophone theatre in English such as Peter Schaffer's “Black Comedy” and Agatha Christies’ “The Mousetrap”. Although Anna made the difficult decision to leave friends and family behind in France to settle down in Australia, she has wasted little time in facilitating drama workshops both in French and Arabic in schools as well as the National Conservatorium of Music. Anna toured around NSW as an actor in the bilingual one-woman show “La Bouillabaisse et la Marseillaise”, and enjoyed teaching French learners about the culture and expressions of Marseille, both in French and English. This was to show both student and teacher alike how drama can help to inform and communicate a foreign language laterally; that non-native French speakers can interact with native French speakers while expressing quirky, innovative and thoughtful fun for all involved. 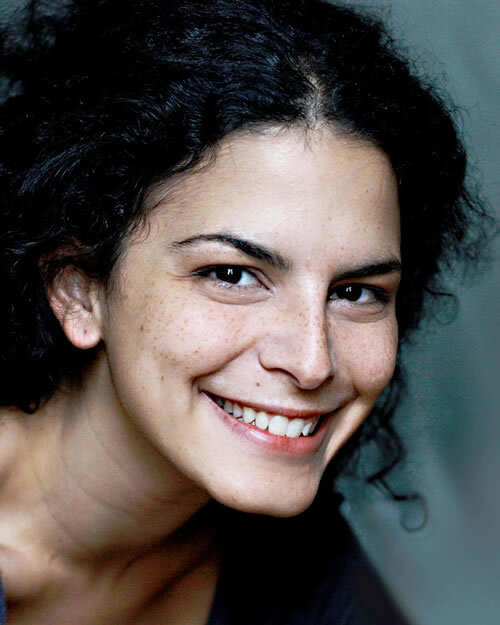 In addition to her time at Alliance Française, Anna has been a playwright and director adapting established material. Under Le Théâtre des Assassins Anna has debuted plays with amateurs such as “Le Dindon” with The Sydney French Theatre, as well as a professional English version of “Roberto Zucco” at the Old Fitzroy Theatre, She was pleased to collaborate with a melting pot of French, Australian, Lebanese and Russian actors. Anna is very excited about her latest pet project Théâtre Excentrique with partner Gerry Sont. As Artistic Director of Théâtre Excentrique, it focuses on performing theatre from around the world. Her production, the critically acclaimed “Antigone” by Jean Anouilh was performed in April 2014 with professional actors in English and a chorus of school students repeating key sentences in French.